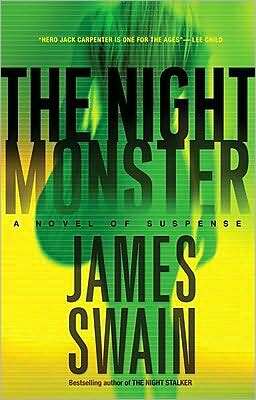 “The Night Monster,” by James Swain. Ballantine Books. 400 pages. $7.99. Now available in paperback, “The Night Monster” continues James Swain’s “Jack Carpenter” series, assuring readers that they can depend on this quick-witted and resourceful private eye to provide the same level of excitement that Tony Valentine does in Mr. Swain’s earlier series. To keep Valentine in view, pending further development of that series, the author gives him a cameo appearance doing his thing exposing gambling cheats with a scene set in the Hard Rock Hotel & Casino in Hollywood, Florida. While James Swain writes out of Odessa, a small town in the Tampa area, Broward County is Jack Carpenter’s beat. Jack is a highly specialized freelancer, having accepted a forced resignation from his position as the head of the Broward County Missing Persons Unit. Now, a cold case and a new one merge into what looks like a stream of serial abductions, beginning perhaps with a case from eighteen years back that Carpenter couldn’t close. The perpetrator, a giant hulk of a man, has abducted Sara Long, a Florida State University women’s basketball teammate of Jack’s daughter, Jessie. As the investigation proceeds, other unclosed missing persons cases turn out to have a similar pattern of victims: attractive, athletic young women pursuing nursing credentials. Why these women? Why the 4-5 year intervals between crimes? What is the relationship between the immense abductor and the small man whom Jessie had seen taking pictures of her basketball team? Because the new case is high profile – Sara Long’s father is an important man – the police are in a rush to close it. They pick the easiest suspect, Sara’s ex-boyfriend, in spite of Jack’s insistence that he is not the perpetrator. Only after Jack has put several of the pieces together are his former workmates forced into following his lead. It helps that an FBI official, as well as Sara’s father, are willing to cooperate – though Mr. Long’s eagerness and arrogance often handicap Jack’s efforts. When the investigation leads Jack to an abandoned mental institution named Daybreak and then to a small town about a half hour east of Daytona where the majority of the people are missing a limb or two, the creepiness factor accelerates. To read this review in its entirety, as it appears in the May 26-June 1, 2010 issue of the Fort Myers Florida Weekly, click here: Florida Weekly – James Swain. It also appears in the June 10-16 issue of both the Naples Florida Weekly and the Charlotte Florida Weekly. 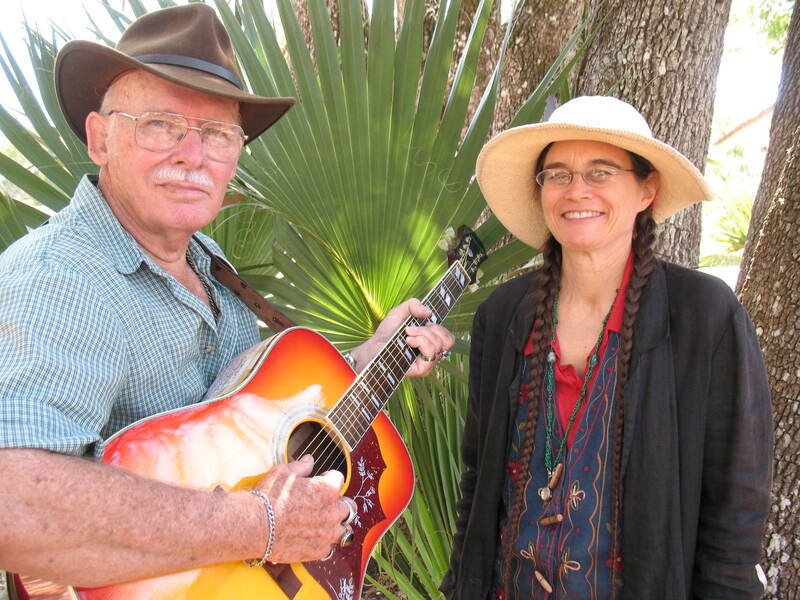 Guy LaBree: Barefoot Artist of the Florida Seminoles, by Carol Mahler. University Press of Florida. 232 pages. 42 color plates. $34.95. The attractive book is at once oral history, biography, art education, a glimpse into Seminole culture, and a generous portfolio of the work of an outstanding self-taught artist. Carol Mahler manages to tell not only a good deal about the life of Guy LaBree, but also about the life of each painting. As Ms. Mahler traces Mr. LaBree’s early years growing up in the community of Dania, near Fort Lauderdale, she details his grade school friendships with the Seminole children from the Dania Reservation who were his schoolmates. Many of those relationships have lasted until today. Young Guy formed a bond with the Seminole people that matured and deepened over the years. He was fascinated by their traditions. In time, Guy LaBree became their spokesman in paint. That is, he translated their stories, legends, and way of life into a glorious series of vivid, respectful, and celebratory paintings. The respect was mutual, as Seminole leaders opened up to him, repeating their people’s narratives over and over until Mr. LaBree – always ready to ask questions and hear another version – knew them as if he had been reared with them. This review appears in the May 2010 issue of the (Jewish Federation of Collier County) Federation Star. 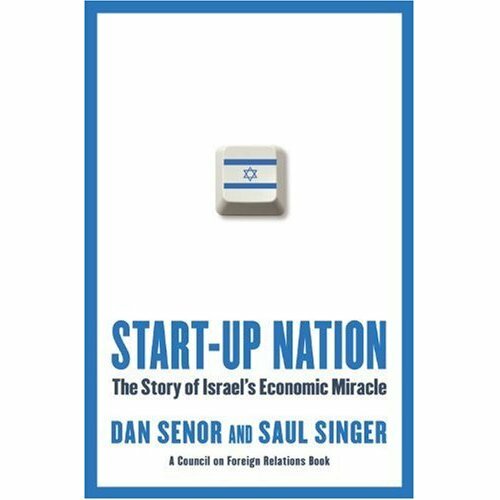 Start-Up Nation: The Story of Israel’s Economic Miracle, by Dan Senor and Saul Singer. Twelve / Grand Central Publishing. 304 pages. $26.99. Under rocket attack, the Intel factory in northern Israel managed to meet all of its contractual obligations, delivering all orders on time and around the world. But how did it do this? And why does a company like Intel have a major presence in supposedly unstable Israel? You can find out in this book. This is the ultimate feel-good book about Israel. Through a series of narratives, it leads readers to understand how a 60-year old country of 7 million people became a technology capital, a magnet for investment, and an entrepreneurial whirlwind. The explanation has to do, in part, with Israeli character and Israeli circumstance meeting each other head on. If your nation’s life is led inside of a box bordered by enemies, you have to truly think outside the box to survive and prosper. Before modern statehood, detailed planning for Israel’s cultural, intellectual, and economic infrastructure was well along. So was the planning to deal with obvious problems, like finding ways to assure agricultural sufficiency. Drip irrigation, pioneered in Israel to counter geographical and climatic circumstances, led in time to a major industry with world-wide customers. Every obstacle, so it seems, is eventually turned to advantage. Often, the time period from a bright idea to having a viable solution in operation is astoundingly short. Israeli inventors and businessmen simply do not hesitate; they swing whole-heartedly and confidently into action. This behavior is clearly a consequence of living in a place where threat is omnipresent and where there is no time to waste. 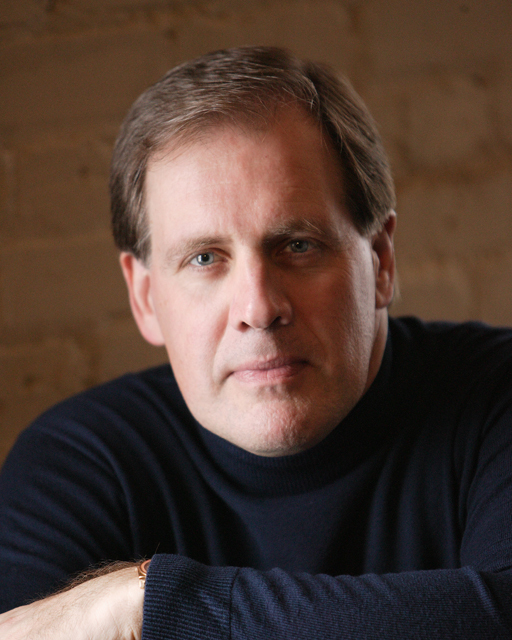 Is everyone a born problem-solver and leader? Well, no. Major institutions play a part. Perhaps the most important among these is the Israeli military – the IDF. Just about every Israeli serves his or her time in military service, working with the same people from just after high school graduation through years of active duty and then the long reserve career that is each citizen’s obligation. Lifelong relationships are built among people of varied backgrounds, ingraining tolerance of difference. Despite (or because of) the IDF’s relative informality and its valuing of merit over rank, ideas and initiatives are not stifled by intimidation, formal processes or command chains. Moreover, because the IDF has proportionally far fewer senior officers than other national armies, junior officers and those below officer rank shoulder important responsibilities and decisions. By the time young Israelis enter college, they already have strong relationships, important skills, and command confidence. They have internalized a culture of fluidity and adaptability. They know how to improvise and how to measure risks. Those who serve in the IDF’s elite forces are especially prepared to make important contributions to Israel’s astounding rate of achievement in science, technology, and business. Important as it is, the IDF is only one ingredient in the mix of attitudes and circumstances that enable Israel to have more companies on the NASDAQ exchange that those from Europe, Korea, Japan, Singapore, China, and India combined. The authors explore these ingredients in the Israel recipe with intriguing stories that can readily become useful lessons for other nations, including our own.